The executioner's (Malcolm Ellul) stunt dagger components from Justin Kurzel’s 2016 video game adaptation Assassin’s Creed. 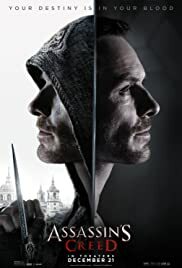 Callum Lynch is submitted to an experiment involving the Animus - a machine that has been developed to relive genetic memories - and discovers he is a descendant of the mysterious Assassins. Experiencing the adventures of his ancestor Aguilar de Nerha, he helps the Assassins take on the tyrannical Templars and search for the ‘Apple of Eden’. The executioner carried his distinctive knife tucked into his belt during the scene in which Aguilar and Maria (Ariane Labed) were due to be burned at the stake. He slammed it into the podium at Aguilar’s feet in a close-up shot. 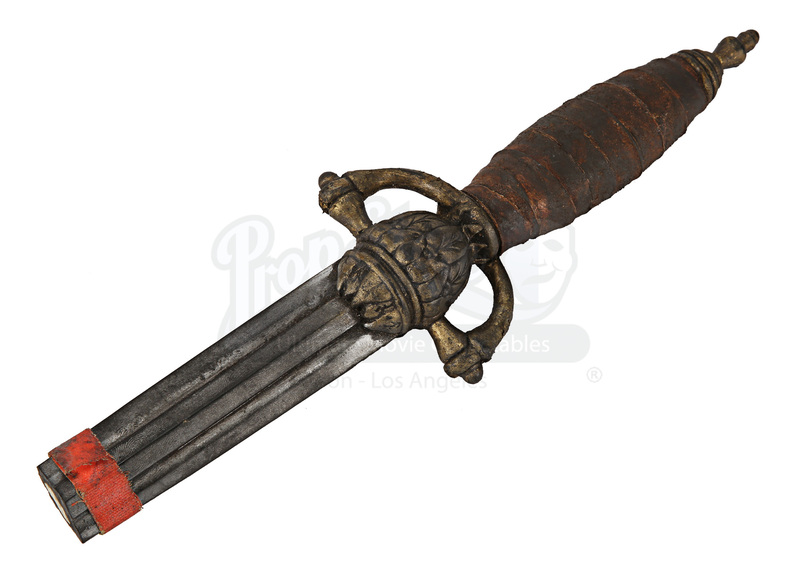 Made of resin and rubber, the knife would have been used for actor safety during filming. Its blade has been partly snapped off, indicating use in an action sequence and heavy production use. 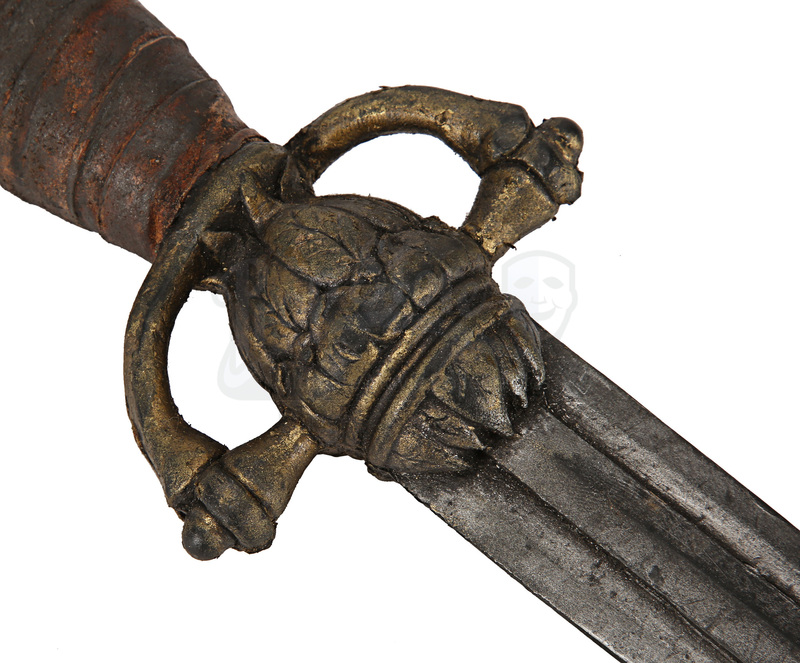 The blade is realistically painted to resemble dull-coloured steel, while the ornately-detailed hilt is painted to look like masterfully worked bronze. 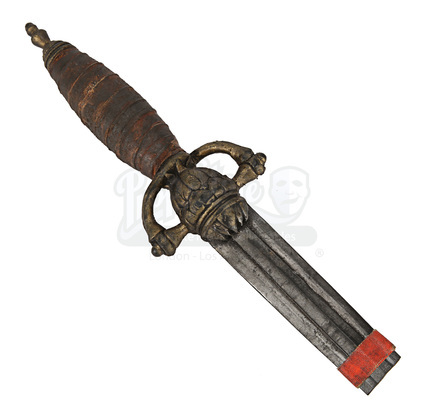 Layering, texturing and mottled paintwork create the impression of a leather-wrapped hilt, completed by a brass-coloured pommel. The piece is heavily distressed for production and shows considerable signs of use. The white interior material of the blade is clearly visible where it has snapped off. 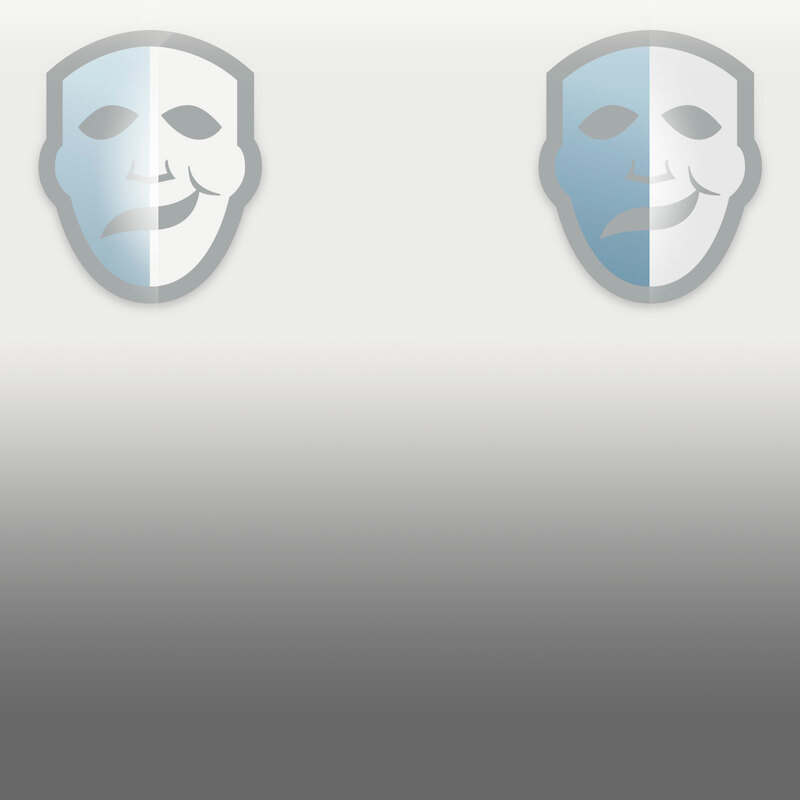 Aside from these factors, the knife remains in overall fair condition.